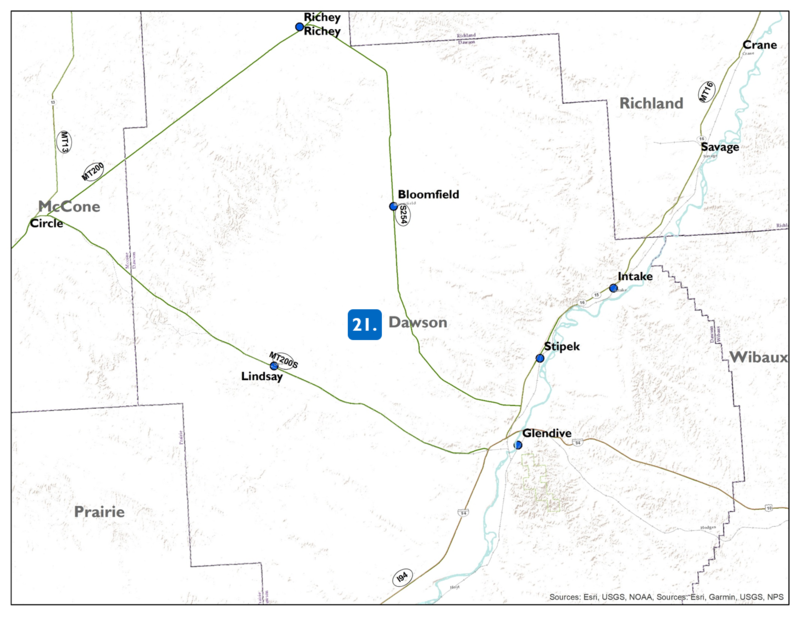 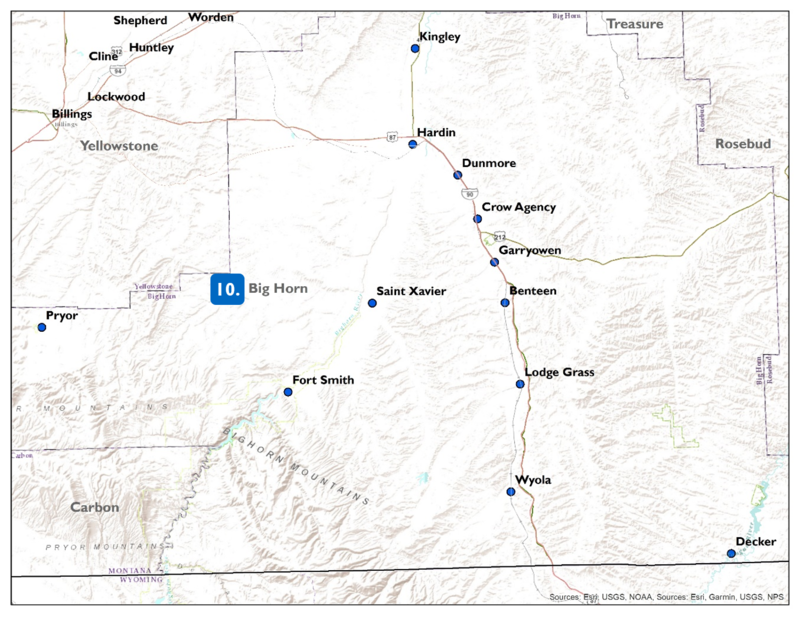 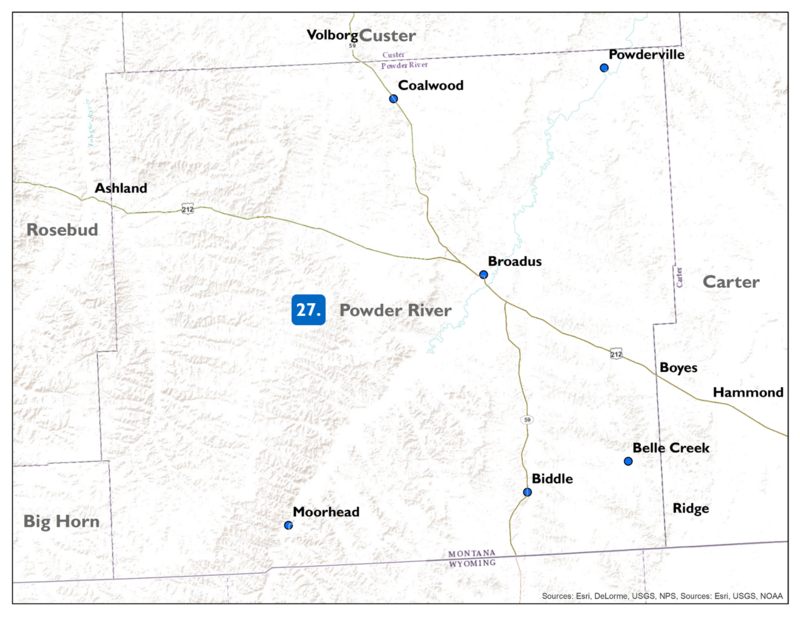 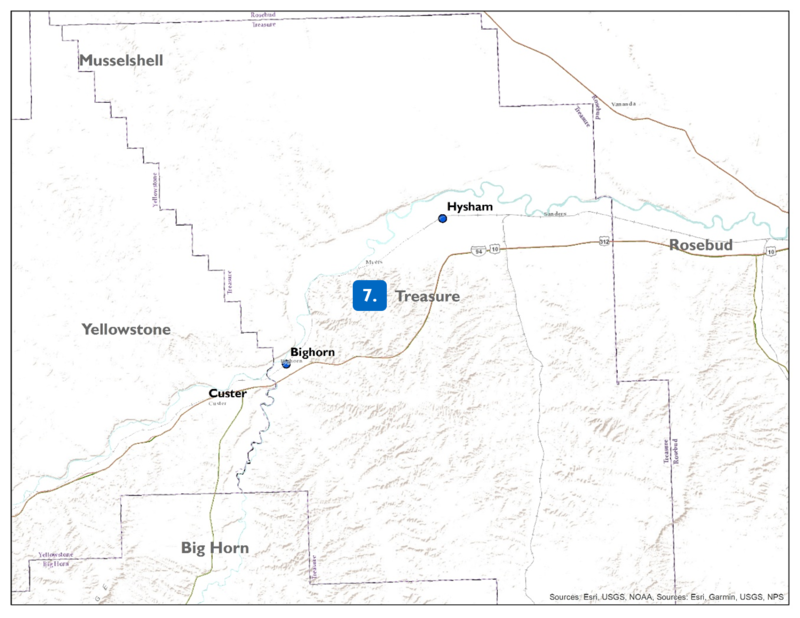 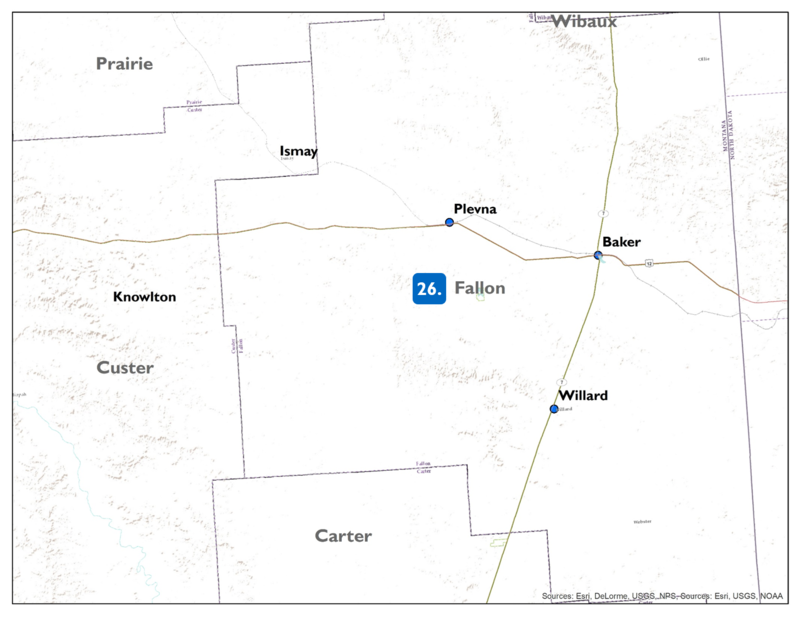 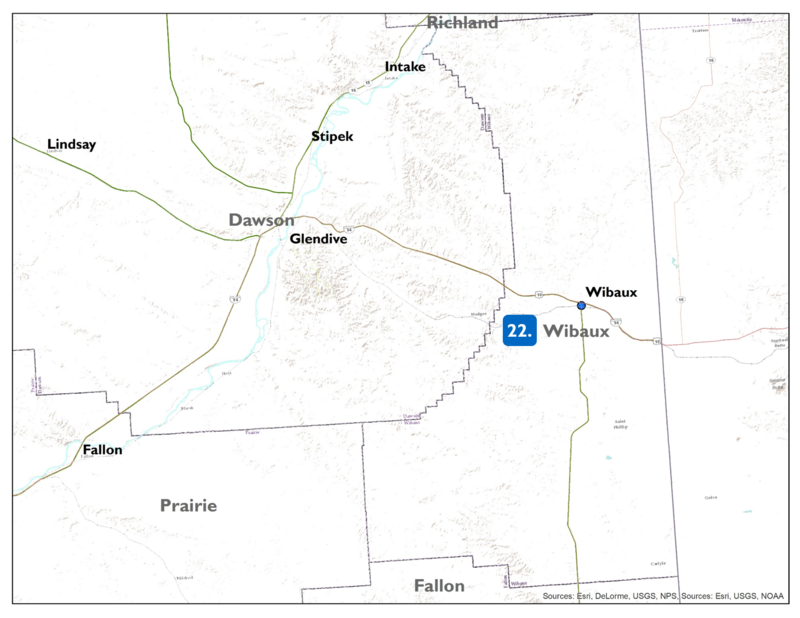 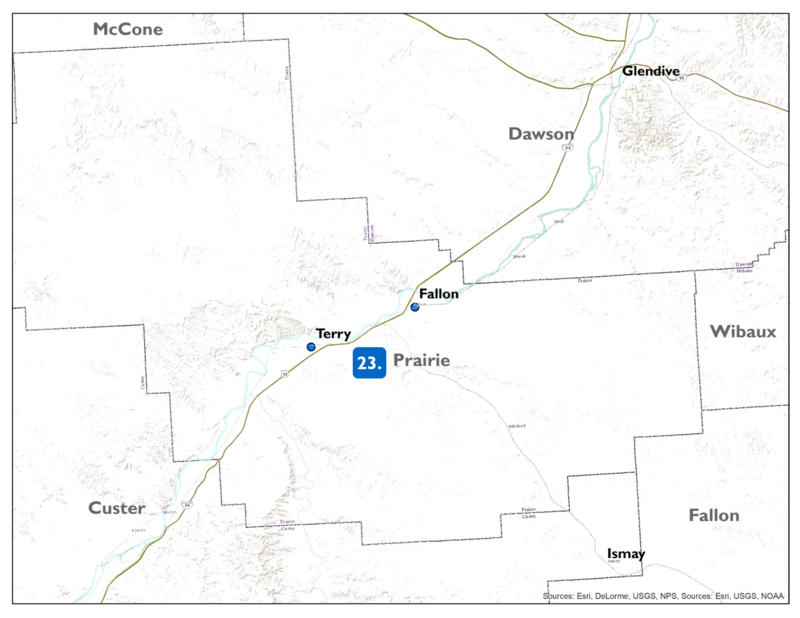 Also note that there are survey towns in Big Horn and Treasure counties that fall in FWP Region 7.Follow the buttons below to view, print, or download maps of our priority survey locations in each county. 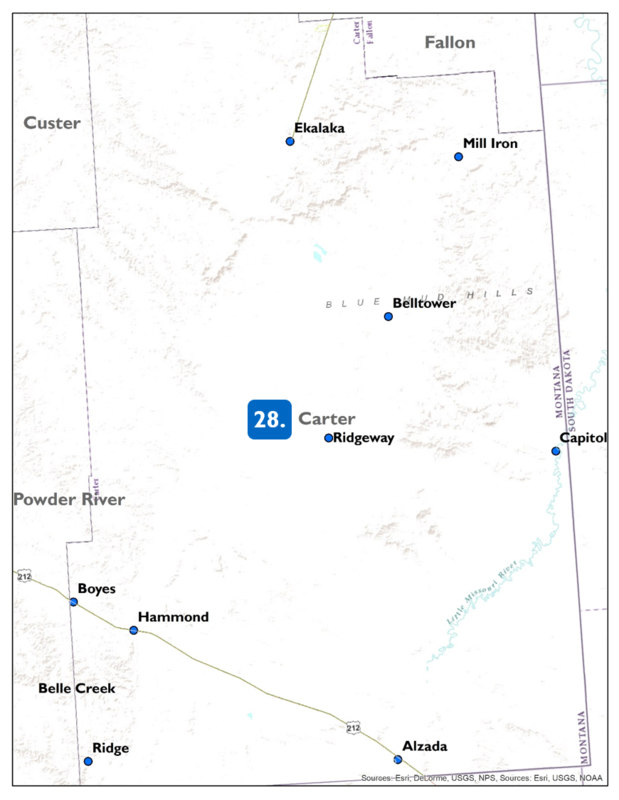 Counties are numbered to help you navigate. 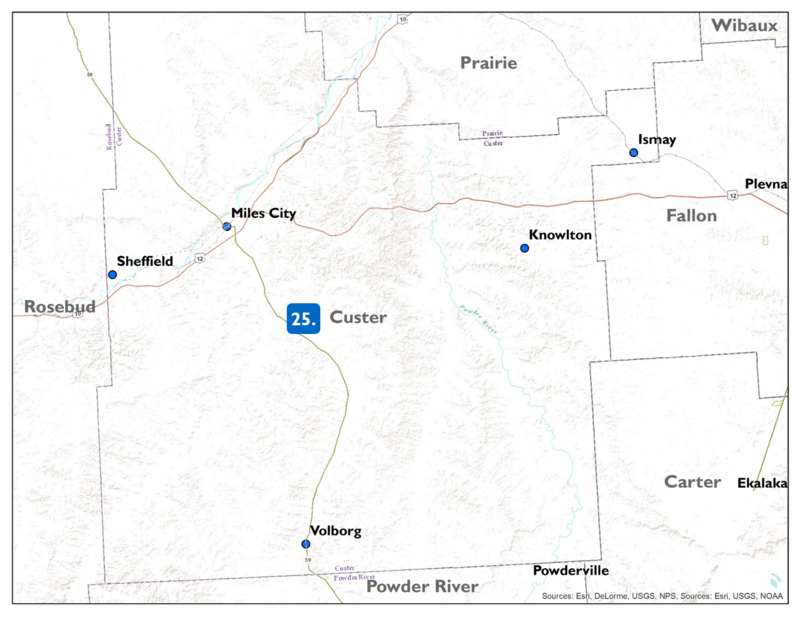 Below each county button you will see a list of survey towns. 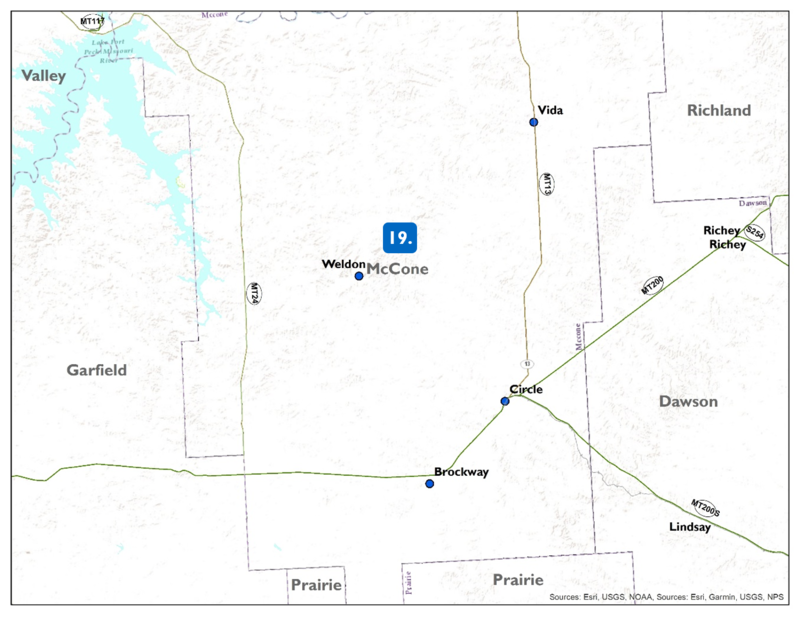 To chose a site, pick a town in a county you'd like to visit and send us a quick email with that information. 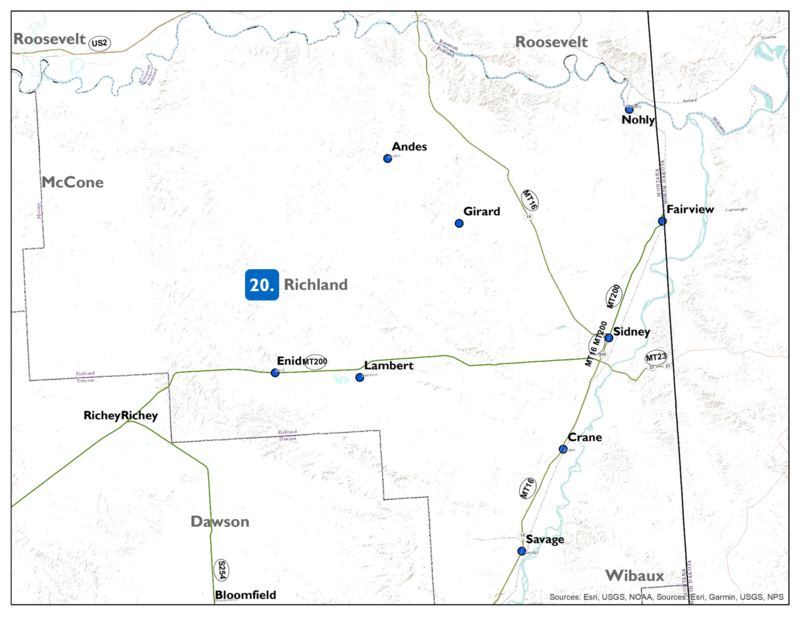 Remember when choosing a site that you'll ideally visit the location three times during the June - July survey period to confirm to use by swifts.